Thanks to everyone who purchased Don’t Be Cruel items at the Westampton, NJ pet event, we were able to donate to the Burlington County Animal Shelter. This past weekend, Don’t Be Cruel attended Friends of Burlington County Animal Shelter’s Raining Cats & Dogs Pet Fest. The event gave the shelter volunteers an opportunity to raise money for their pets through raffles, bake sales and vendors. Families were able to participate in fun events like tattoos for kids, digital pet photos, paw prints, live music and more. 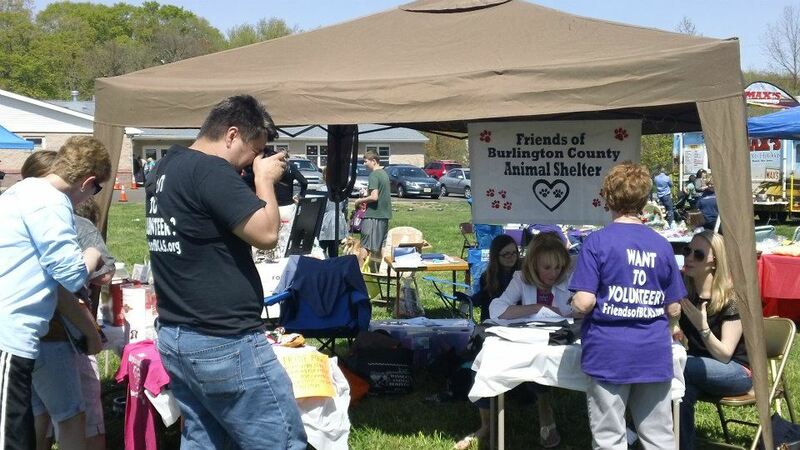 Friends of the Burlington County Animal Shelter was founded in 2010 as a volunteer group devoted to supporting the animals of the Burlington County Animal Shelter. Though they are close partners, Friends of BCAS is a separate organization from the shelter itself. This entry was posted in Local NJ/NY Events and tagged Burlington County Animal Shelter, FOBCAS, NJ, Raining Cats and Dogs Pet Fest, Westampton on May 2, 2013 by Belkis Cardona-Rivera.